Follow us and Win Prizes! 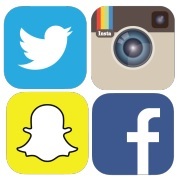 The Office of Student Life is now on Snapchat and Instagram. Follow us to win free things, see fun stuff, and catch up on campus happenings! ...we're on Facebook and Twitter too!